On social media, people are getting more vocal about their likes and dislikes about a brand. Mukund Krishna, Founder, SOCXO, believes that this trend is only going to increase over the years. In an interview with TechnoparkToday, a portal covering events in Technopark, Thiruvananthapuram (one of the largest IT parks in the country and home to more than 300 IT companies), he explains why it is so. TechnoparkToday: Congrats Mukund. Now, SOCXO has become the leading all-in-one employee advocacy platform in India. Mukund: Thanks. I give the entire credit for this to my team. They have been working hard over the last 2 years to create a world-class social employee advocacy platform. TechnoparkToday: Why should an organization use SOCXO? Mukund: All of us know that the reach of a brand’s page on major social media platforms is taking a southward dip with every passing year. A few years back, Facebook said in one of its official posts that company pages organically reach only about 16% of fans. But of late, some brands have been saying that their posts reach no more than 5% of their fan base. SOCXO can help an organization easily breach this barrier. Through SOCXO, employees can effortlessly share company content to their personal feeds and reach a bigger base of people. And a very important reason why an organization should use SOCXO? Many studies have shown that the trust which a person has on a company or its senior management is much less than the trust they have on its employees. By using SOCXO, an organization can convert this challenge into an opportunity. 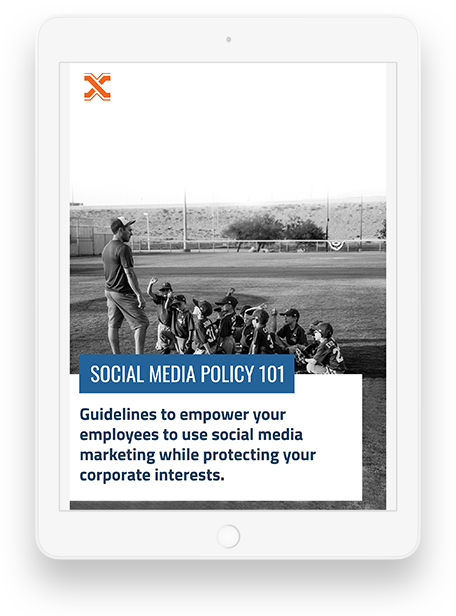 When your employees voluntarily engage with your content and then share it to their friends and followers, the trust for your brand on social media becomes greater. Our clients have also reported 3X times organic web traffic and leads and increased brand awareness by having their workforce use SOCXO. The HR teams of our clients have benefitted out of SOCXO too. They were able to step up social recruiting and increase job referrals with the help of the platform. TechnoparkToday: Is SOCXO helpful for an employee? By sharing relevant content on to social media, an employee is able to brand himself as a thought leader. SOCXO makes this social sharing easier. The platform also makes it effortless for an employee to suggest relevant content too, thus giving him/ her more visibility in the organization. With SOCXO, employee ambassadors need not just share what is curated and given to them. They can add their comments to company content before social sharing, thus adding a personal flavour to the posts. With the help of real-time leaderboard on SOCXO, some of our clients have implemented reward programs for their active and passionate employee ambassadors too. TechnoparkToday: What made you think of developing a product like SOCXO? Mukund: I am an avid social media user. Also, I believe in sharing more relevant information to my followers and friends on social media. Till a few years back, I used to spend more than an hour daily browsing various news portals and other websites to understand what is happening in my areas of interest. I used to then curate the content and further share them with my friends on social media. So it just struck me one day – why not make this process easier and less time consuming for people like me? Why not a platform where one person can curate interesting and relevant content at one place for many people? With SOCXO, an employee just needs to login to read what is relevant to him. And if he is interested, at the tap of a button or a click of the mouse, he can share that piece of information on all the social media platforms where he has a presence. Yes, initially, SOCXO was developed as a personal branding tool for corporate executives and professionals. But later on when we understood the potential that companies can unlock through SOCXO, we started selling it to organizations too. TechnoparkToday: What is your dream for SOCXO in 5 years? People are getting more and more attached to brands they like. What more! They are becoming more vocal about that too. So, in 5 years, I want to empower a person to voice his liking for a brand from anywhere, anytime and from any device. TechnoparkToday: Apart from the application SOCXO, do you engage in any activities that spreads the word in India about brand advocacy and the best practices associated with it? Mukund: Of course, we do. We have regular podcasts featuring the best minds in social selling and employee advocacy. Over the past 2 months, we have had social media greats like Neal Schaffer, Chad Pollitt and Mark Schaefer holding forth on the tips and strategies to get the best out of employee advocacy. We also publish blogs and articles written by eminent social media personalities. We have also brought out e-books to help you start employee advocacy in your organization and sustain it in top gear over a long horizon. You can tweet to @kmukund7 for a copy of the e-book.